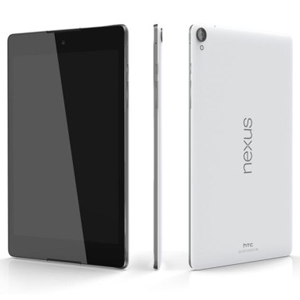 The Nexus 9 was designed and developed by Google, in conjunction with HTC, and released in Q4 2014. It features an 8.9" IPS LCD display with 1536 x 2048 resolution. It's powered by an Nvidia Tegra K1 dual-core 2.3GHz processor and 2GB of RAM. Internal storage is available in either 16GB or 32GB. The Nexus 9 features a large 6700mAh battery, and 8MP camera, with 1080p video recording, along with a 2.1MP secondary front facing camera.